Creating an internship program is easy to do but it’s also easy to get it wrong. Designing an internship program for your business may seem overwhelming but we can help. We know this because we’ve been showing businesses how to hire an intern for years. Through many hours of testing, experimentation, and hard work we’ve come up with a system that literally ANY organization (entrepreneur, small business, medium sized business, non-profit or government agency) can follow and implement to find interns. 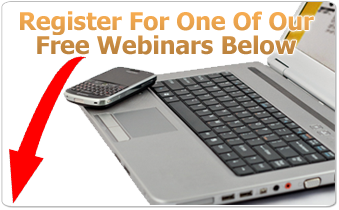 The best place for you to get started is to attend one of our free webinar trainings below. There is no cost to attend, just register for the webinar that fits your business. Then you’ll know how to hire an intern that works for your business. Check out the choices of different webinars below to help you get started creating an internship program that’s right for you today. Never hired an intern before, but ready to start your own internship program? in 30 days or less! Already have an internship program? On this free webinar, discover the top 3 internships that every business or organization must offer to grow and remain competitive & relevant in today’s economy! Learn how to get these interns working for your organization tomorrow! Hiring unpaid interns, or plan to hire unpaid interns?